Posts tagged " Numbers 16 "
There are at least three separate groups that hate President Trump, each for its own reason. Some people hate him because he’s an outsider to Capitol Hill and doesn’t play the “you-rub-my-back-and-I’ll-rub-yours” game. Another group hates him for enacting more conservative policies and appointing more conservative justices than any other president in recent memory. Yet another because they perceive him to be profoundly evil in every fearful nightmarish way. There are at least three separate groups of Britishers eager to escape the bureaucratic clutches of Brussels and the iron-grip of the European Economic Community. Each has its own reason for wanting a more independent Britain. There are many different groups enthusiastically pushing a gender spectrum sexually fluid society, whatever that all actually means. Each group benefits in a different way from the resulting identity confusion. Your customers, your sales professionals, and your accountants might all encourage you to lower the price of your product. They all have their own different reasons, but by acting together, they cause you a huge headache. Each of your young children has his or her own reasons for not wanting to end the day according to your preferred bedtime schedule. Regardless of their own individual agendas, from an early age they know the value of forming a coalition against you. Politicians, union organizers and little children succeed by knowing how to bond together several disparate interest groups into one single coordinated force. Likewise, they are best defeated when you possess a deep understanding of the dynamics of unity and you know what each party really desires and what it fears. Nobody knew better than Moses what to do when they gang up on you. Numbers 16 details a rebellion against his leadership. Join me in a stroll through that revealing part of Scripture. The first two verses in chapter 16 identify all the participants in what seems to be one rebellion. Korach, Datan and Aviram, On the son of Pelet, and another 250 men. It sounds as if they are all unified in opposing Moses and Aaron. However, it soon becomes apparent that there is more here than meets the eye. In verse 12, Moses summons Datan and Aviram who refuse to respond. Their complaint against Moses: Why did you use the promise of taking us to a land of milk and honey to aggrandize yourself and appoint yourself our leader? Another group comprises 250 men protesting Aaron’s exclusivity as priest. Not only are these two separate groups with two separate agendas but the verses show that they each are headquartered in different locations. Verses 1 through 4 introduce both rebellious groups. The next seven verses describe the complaint of group one who reject Aaron’s role as exclusive priest. The second group, that of Datan and Aviram with their complaint against Moses, is treated in verses 12 through 15. Notice that when group two is being dealt with in verses 25 and 26, only Moses alone acts since their protests were against his leadership whereas the response to group one appropriately included Aaron as we see in verse 18. On the son of Pelet the sons of Reuven. That isn’t a typo— there is no object in the sentence telling us what Korach took. The simplest understanding is that Korach “took” men with his eloquent words, a human susceptibility that we can certainly take to heart. However, ancient Jewish wisdom also transmits another powerful message. It explains that what Korach took was his own self interest along with the two separate disgruntled groups and he contrived to combine everyone into one formidable rebellion. 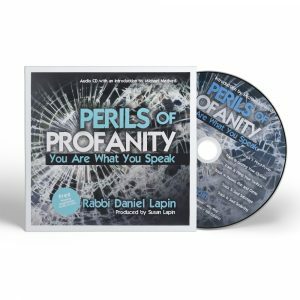 Note how chapter sixteen makes us work to discover that there are two separate groups that Korach welds into one loud voice of protest against Moses and Aaron. This helps us understand that it is usually challenging to discover exactly who is ganging up on us and for what reasons. By carefully analyzing who the protagonists are and what exactly each wants, we place ourselves in our best position of strength. Moses successfully worked a wedge between the two groups, even keeping each in its own separate geographic location. We must learn that lesson well and meticulously strategize to form cracks between those who would gang up on us. We should also be aware, as we diligently are at the American Alliance of Jews and Christians that those whose agendas disagree with our joint primary focus on following God’s word, benefit when they can drive wedges between us. Words matter. 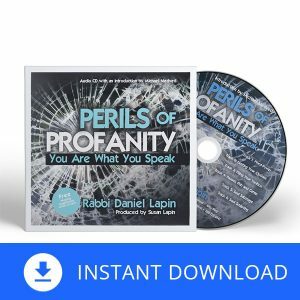 Our highlighted (and on sale) audio CD, Perils of Profanity: You Are What You Speak highlights the damage to individuals and to society when cursing becomes standard as it is today. If this is a problem area for you, you may not even be aware of the damage to your purse and love life. However, because of the culture around us, this is actually a problem which affects all of us.